Uptown Dental Gig Harbor offers porcelain veneers as a way to correct minor dental issues and create an attractive healthy smile. 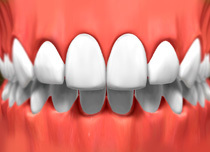 Veneers are tiny thin shells that are bonded to the front surfaces of your teeth. The shells are well-suited to cover stains, close gaps, fix chips, lengthen short teeth, and more…If you’re looking for a way to improve your smile, chances are veneers can help. Each of the shells is made of high-quality porcelain material which makes them tough and durable. The porcelain is custom matched to the shade of your teeth which allows it to flawlessly blends in with the rest of your teeth. And because each shell is carefully placed on your teeth, this ensures aesthetically pleasing results. To ensure that the veneer is a proper fit. To create better-looking results. 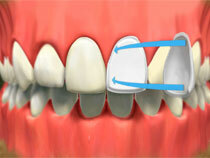 Because we are adding shells to your teeth, even the thinnest amount will add some bulk. To prevent this, we will remove a tiny amount of enamel so that you can achieve an attractive smile without the additional bulk. During your consultation, Dr. Rhonda Savage will examine your teeth and go over your cosmetic goals to create a treatment plan appropriate for your needs. Our dental team is highly skilled, trained, and experienced so you can feel confident that we can help you achieve your Hollywood smile. 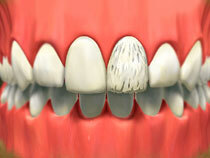 Wondering if porcelain veneers are right for you? Contact Uptown Dental Gig Harbor at (253) 857-0835 to speak with us today.